If you’ve got a spare $2.8 million (£2 million) lying around you might want to consider spending it on one of the most incredible houses you’ve ever seen. According to Tech Insider the ‘Floating Seahorse’ is the product of more than 5,000 hours of research and 13,000 hours of design and engineering. 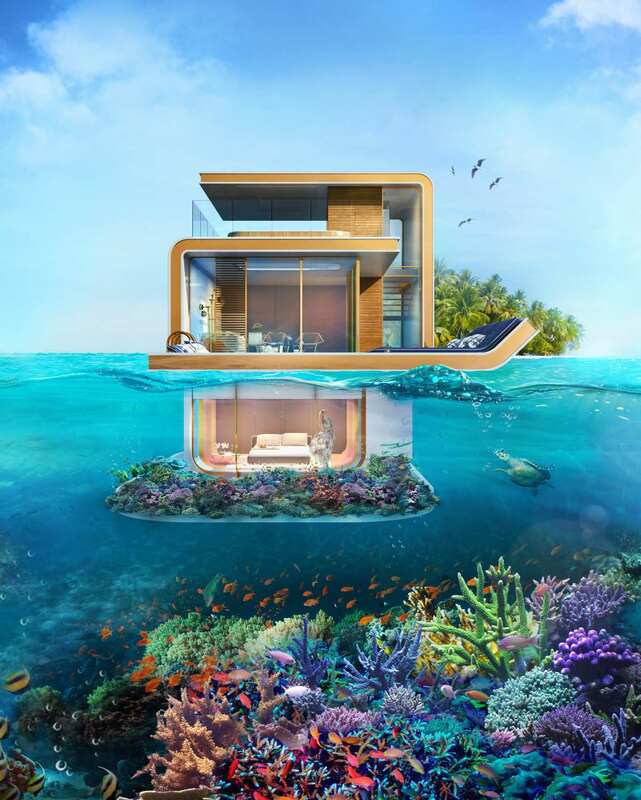 Designed by the Kleindienst Group the amazing underwater houses will soon be available to buy – to the super rich – in the crystal-blue waters off the coast of Dubai in the chain of islands known as ‘The Heart of Europe’. 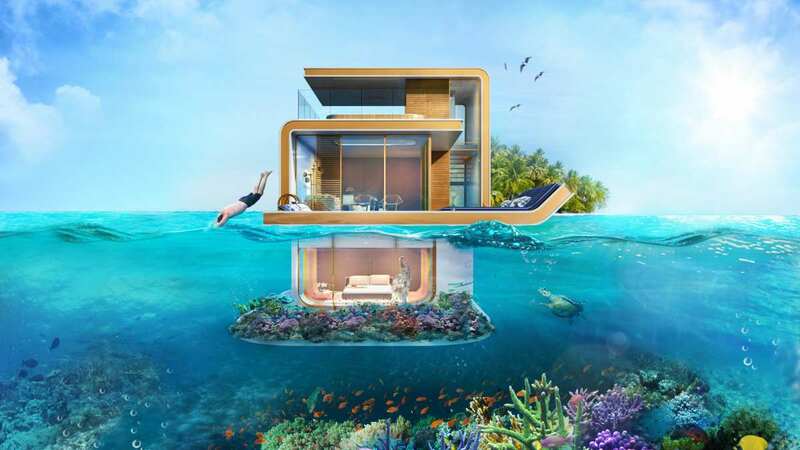 The first floating home models went on sale last year – before any of the Seahorses were even completed – and Kleindienst say they have already sold about 60 of the exclusive properties. From their homes, residents will be able to see actual seahorses dancing through the Arabian Gulf — the animal’s natural habitat. 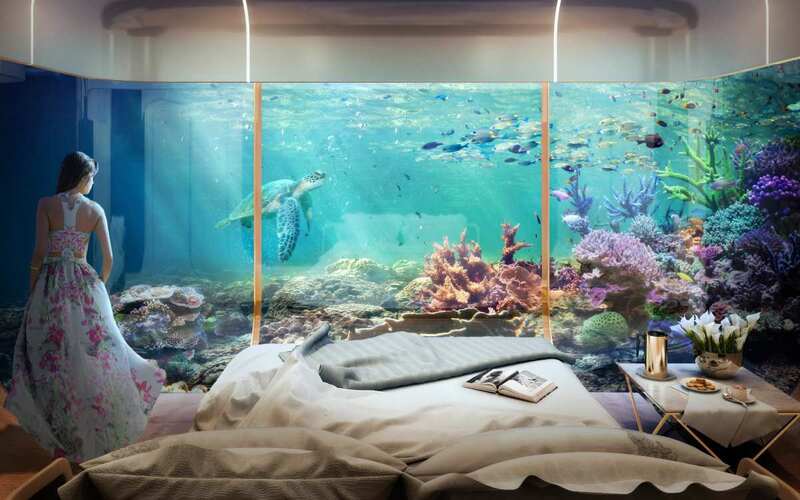 The underwater section houses a master bedroom and bathroom from where people will be able to look out on a 500-square-foot coral garden. 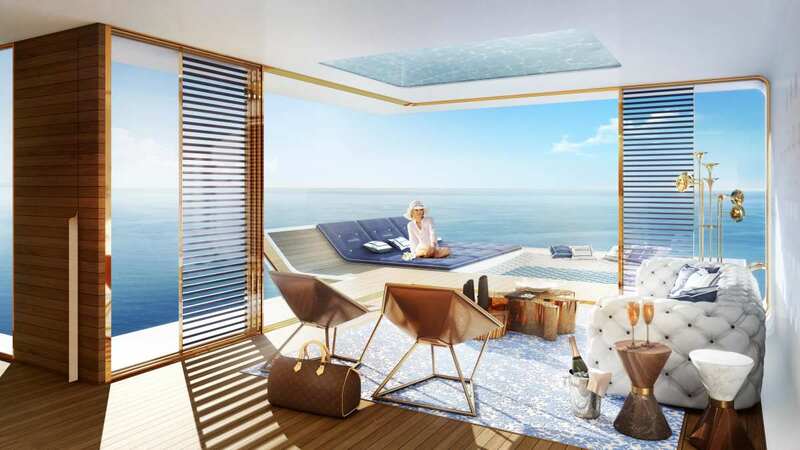 Upstairs, residents will be able to stretch out on the massive floating bed or simply take in the stunning view from an observation platform. 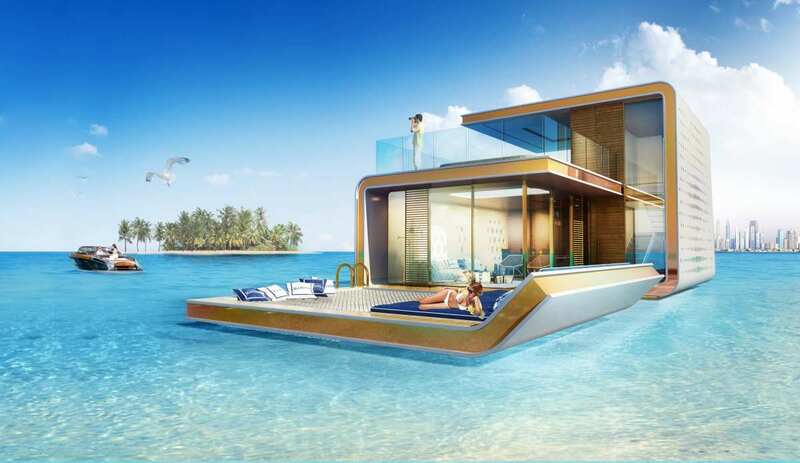 The structures are located about two and a half miles from Dubai’s shores so inhabitants will have to reach their Seahorse via boat or seaplane but once they’re out there, they can cross between the islands via floating jetties. 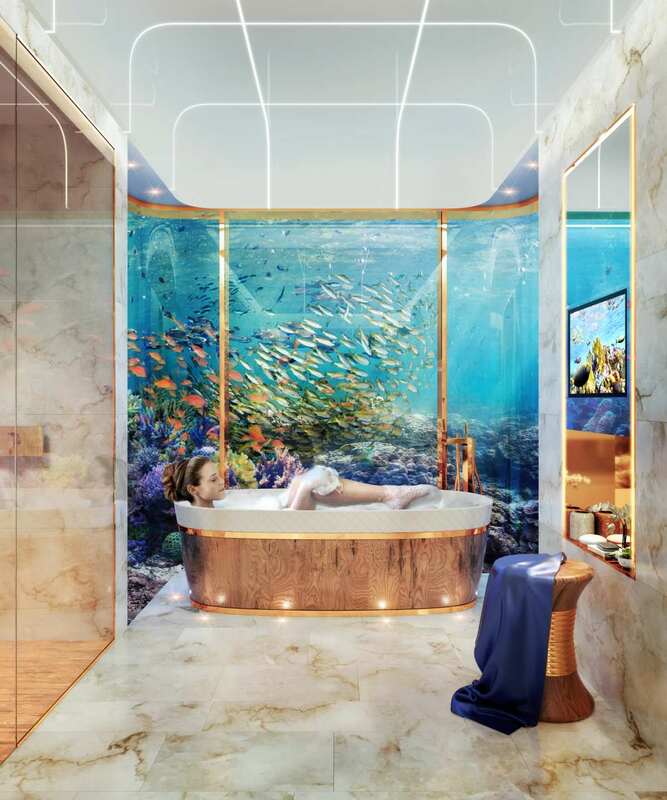 We will create an artificial coral reef beneath the luxury retreats which will be a protected area in which seahorses can safely live and breed. With demand already high for the Floating Seahorses, Kleindienst says it’s next stop are the St. Petersburg islands portion of The World. It’s fair to say they look amazing.